Trying to stay current on the latest developments in and use law and planning is always like chasing a moving target, and in the last several months, the law and regulations in this area has been very active. Housing shortages and affordability remains central to California Land Use. Efforts to ease the dearth of supply have met with mixed results but the efforts for change remain robust. Speaking of change, the use of initiatives and referenda to bypass traditional local government land use planning controls, courtesy of your neighbor at the ballot box, has become more and more common. Inclusionary zoning and rent control has met with mixed results at the ballot box but these topics are in flux, and because of California’s housing supply crisis and housing affordability, they will remain a constant theme in the world of land use law and policy relevant to nearly all practitioners, planners, and other land use professionals. One set of topics subject to significant tides of change are the newly proposed wetland regulations issued by the federal government and the state of California. The federal government’s pullback will likely mean more state of California pushback. Mother Nature has certainly complicated matters. Sea level rise and devastating wildfires are now more relevant than ever to land use law and planning policies. Finally, the newest member to the land use table is recreational cannabis sales. Can this industry thrive while at the same time be subject to stringent land use regulations imposed by both the state and local governments in California? This comprehensive, practice-oriented conference focusing exclusively on California Land Use Law, Policy and Planning is a streamlined one-day excursion through some of the most important issues facing practitioners today. And to guide you through these issues, we’ve assembled the best and most knowledgeable faculty in the state. This fifth annual conference will allow you to learn from in-the-trenches attorneys and policy-makers who are involved the cutting-edge issues and cases affecting land use change in the state. We invite you to join us, participate in our discussions, and interact with the faculty in question and answer sessions after each presentation and at breaks. Be ready, be prepared, be successful in your practice. If you attend only one California MCLE or AICP accredited land use conference this year, make it this one! Be sure to register today for this special conference and find out what impact these critical topics will have on each other—and how the potential outcomes will impact your practice, municipality or organization in the future. NOT ALL LAND USE LAW CONFERENCES ARE THE SAME! Register today for the only land use law conference in 2019 that’s produced by the publishers of California Land Use Law & Policy Reporter, a California-based conference provider that has offered publications and conference programs specifically for the California Land Use Bar since 1989. This year, as always, the expert publishers, editors, and advisors of California Land Use Law & Policy Reporter have been instrumental in planning this conference for you. These seasoned, in-the-trenches legal professionals are uniquely qualified to let you know not only what’s happened but, more important, what’s coming down the pike in the future. And because California’s land use issues are often contentious, we don’t skimp on perspective. You’ll get several different (and sometimes conflicting) views from the top practitioners and key institutional players in the field to deepen your understanding of the issues. MCLE accreditation has been requested for this program. Pending MCLE accreditation approval by the State Bar of California for 6.25 hours. For planners, this program has been approved for AICP CM credits of 6.25 hours. Download the conference brochure with full program and other registration options. Conference tuition of $695 includes participation in all sessions, continental breakfast, refreshment breaks, and all program materials prepared by the Faculty. Discounts apply for government agency personnel, or when you register two or more attendees from the same organization. See our online registration form for details. Early registration is encouraged. The easiest was to register for the conference is to use the Online Registration Form. You can also (1) Mail the completed registration form located on the brochure to: Argent Communications Group, PO Box 1135. Batavia, IL 60510-1135; (2) Complete and fax to 530-852-0360; (3) Email the registration form to register@argentco.com; or (4) Call 800-419-2741. Full payment or purchase order is due with registration. 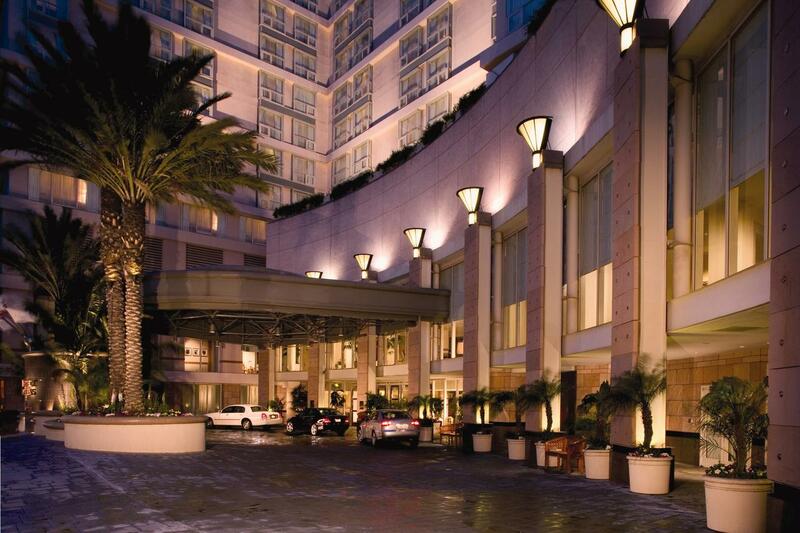 Book your room at the Los Angeles Omni Hotel by February 18, 2018 to take advantage of the special conference rate of only $209/night (single or double occupancy). To reserve your room and get this discounted room rate, simply call 1.800.THE.OMNI (1-800-843-6664) and ask for the “Argent Communications Group” discount. The number of rooms at this rate is limited, so be sure to make your reservations early. We look forward to seeing you in Los Angeles, March 18!